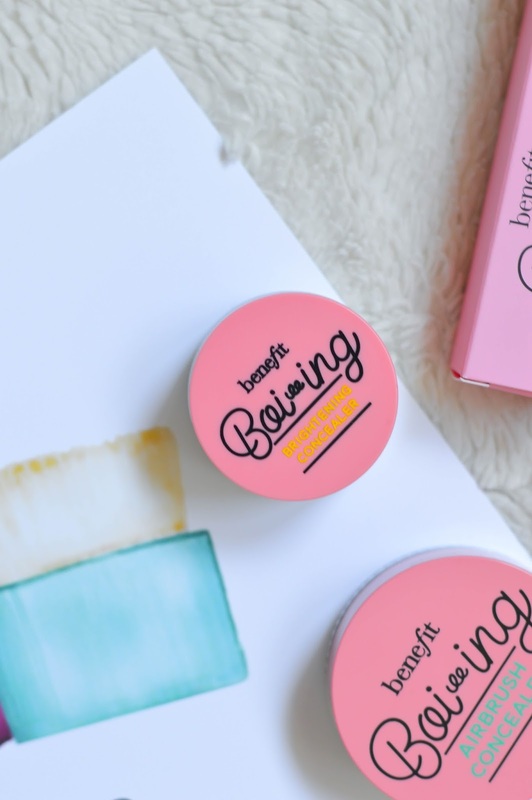 It's a Benefit Cosmetics kind of day today on the blog. 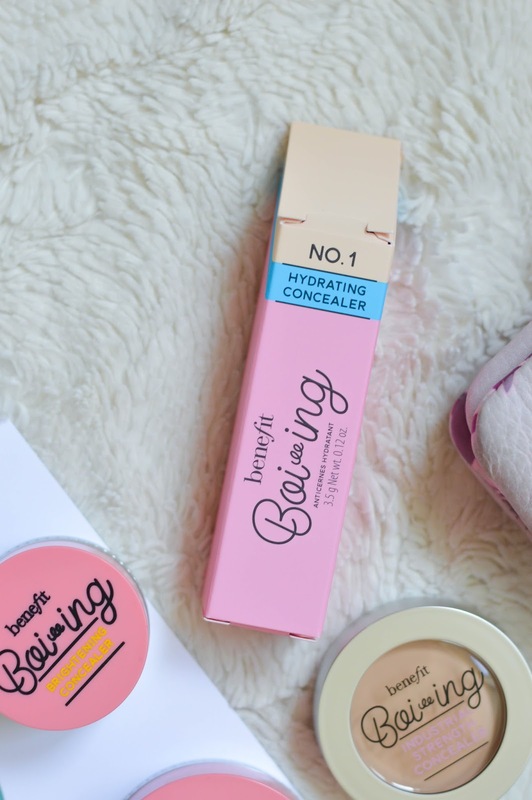 Benefit has always been a personal fave brand of mine, and today it's so great to share they new line of Bo-ing concealer products with you. 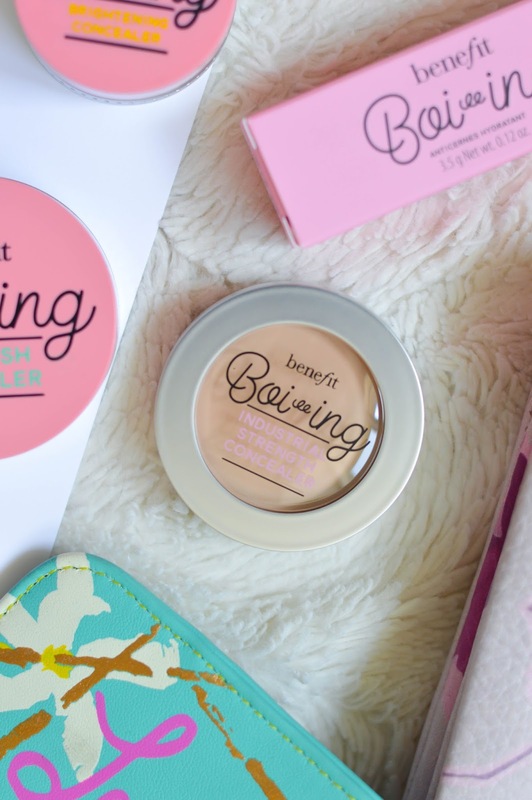 If you're like me and you love the original Bo-ing concealer, don't worry it's still around, just in some fancy new packaging! The new packaging is reminiscent of a school eraser, which makes total sense because a great concealer should act like an eraser to get rid of dark circle and fine lines. In the re-vamped Bo-ing line you will find the industrial strength concealer, which is what I use everyday. A brand new airbrush concealer that works to conceal those fine lines, and man does it ever work! There is also a hydrating concealer stick, so if you have dry skin under your eyes this is the magic product for you! The hydrating concealer won't settle, or look 'cake-y'. Lastly, the brightening concealer works to erase dark circles, and I often like to use this on my eye lids too. Just a small dab and I look refreshed and brightened. 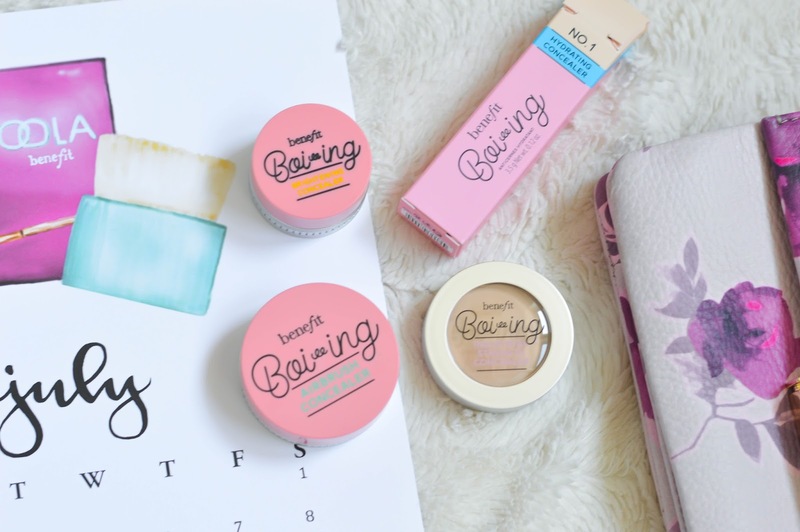 As always with Benefit the products are fantastic and I can't wait for you to try these. 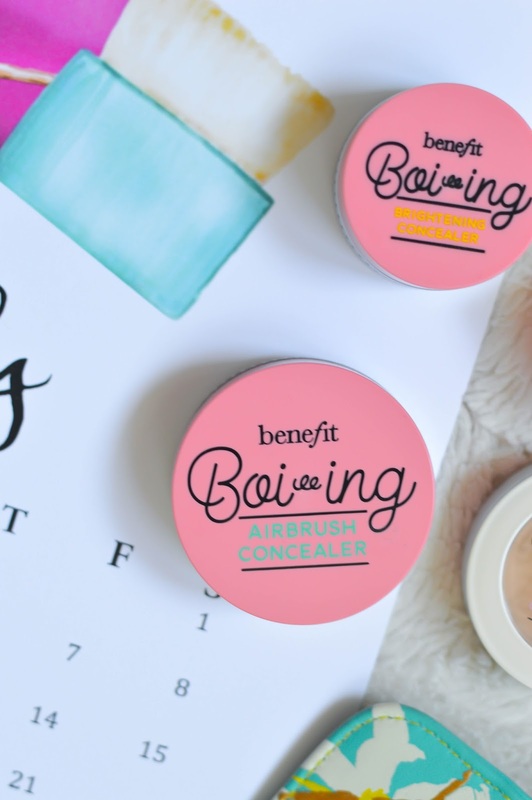 I know you will find your new fave concealer!